We’d like to congratulate our winners of this year’s Wheaties and Tare-ific Awards. Go ahead and give us your acceptance speeches! 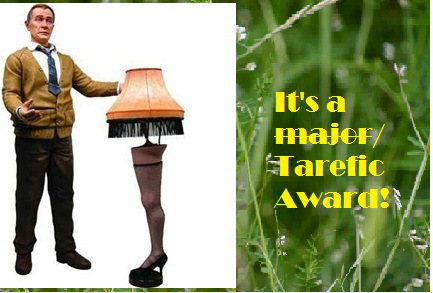 Let’s start with the Tare-ific Awards! We ended up with several ties this year! 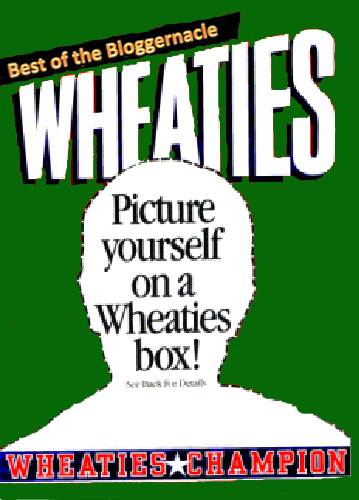 Now it’s time for the Wheaties! Wheat & Tares (62%) Two years in a row!!! Mormon Stories (14%) As you can tell, highly fragmented voting in this category! We did notice participation was a little lower this year, and wondered if you all might comment as to why you think that was. Is it because the poll was offsite? Are the awards getting stale? Is it because we couldn’t add hyperlinks? Something else? I would guess a combo of lack of hyperlinks and the survey being off site, BUT I hasten to add that the off-site survey was very easy to navigate. Second the vote for links to the articles – several categories I didn’t vote in as I couldn’t recognition the article from its title. Posts from early in the year may be excellent but buried under more recent, memorable articles. Tied with Jeremy? I’ll accept that humbly. Thank you. Woohoo! MIPodcast in a three-way tie! Thanks for the votes, y’all.